Boltguns, Bashers and Brushes: Inspiring Motivation, or Motivationally Inspired? So, like I mentioned in my intro post I hope to dabble in a little bit of everything modeling, gaming, and GW related. 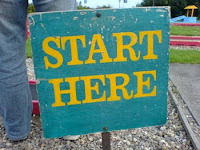 So I want to get to a main focus of this blog. Motivation. Motivation for you, your buddy, your painting, your modelling, your gaming, and of course motivation for Me. I could have just started a painting blog somewhere on a forum, but I want to expand this more to just my minis and current army. I want to help those like me, and get myself motivated to finish it all in the process. Before I begin waxing on my soapbox and preaching, (some of you may be thinking it's too late) let me explain what I mentioned in the first post. I have been a major troll and I have sucked up plenty of gaming and painting knowledge, articles, blogs and forums. But I never post. So I finally read a few things in the Internet gaming circles, a couple of buddies have asked me for advice and complimented my own stuff, so I figured, I can't give any worse then I get right? So here it is. First on the agenda: We be 'PLOGGIN. This blog will probably start off as my personal Paint Blog and we can go from there. I am currently working on my Angels Sanguine Army for 40K. I have another 40k army, my Eldar, but I have them benched until I can see the end of the Seer Council/Mech Eldar swing. In my adventures throughout ciberspace, I run across a few specific boards and painting blogs, one in particular which has sold me completely on my new Angels Sanguine, is the work of OMG, on The Bolter and Chainsword Forum. His Sanguine Army has tipped me over the edge of painting my blood angels as Angels Sanguine. And I am not looking back. I played BA as proxy lightly before the .PDF era, and have picked them back up with a vengance. Originally painted as as my beginner smurf power armor army when I was 14, I have decided to made it a real deal, full-on army as an opposite to my shooty "Perfidious" Eldar and stripped the smurfs to make em my BA. Besides... with 5th I need to buy a whole lot of Wave Serpents, and that's not really in the cards right now. Warhammer Fantasy. I only got into Warhammer Fantasy a few years ago as a dive into the Seventh edition. Of course, as lots of people start, we did the Fantasy beginner set, Battle for Skull Pass. In my little gaming group I ended up with greenskins as most of my friends never played Tabletop min games, or especially Fantasy, so was their first trip. Although I now have a decent sized Waaagh, with a few units painted and like I mentioned earlier, that is on the temporary back burner until 8th is out.. More on that later, and possibly on a sister blog..Who knows. Like I mentioned before plenty of times, I am a huge internet whore/loser/troll. In my travels I have made a decent collection of sites that I frequent, and certain people whom I follow, and their work Inspires and Motivates me (see, see full circle...like a donut). Here is a quick list of relevant stuff. Currently lots of BA/AS and power Armor related:. Just to name a few. I'll keep a good pile in my blogroll, (to the right) and hopefully I can help point you to other work I use for my own my inspirations and have them inspire you too. 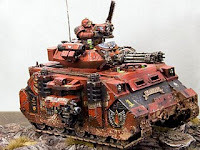 BA (and not Blood Angels) inspirational pics I found for Blood Angels and Angels Sanguine. Enjoy, and be sure to use those links and check out their work and read their blogs. I do.